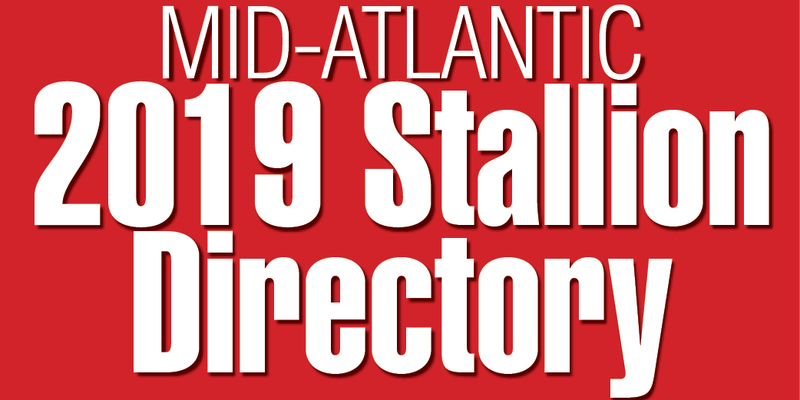 American Horse Council President Jay Hickey sat down with Mid-Atlantic Thoroughbred editor Lucy Acton to discuss issues related to the Thoroughbred industry. The AHC represented the entire horse industry before the U.S. Congress and federal regulatory agencies in Washington, D.C., for more than 40 years. Among the topics discussed were tax law changes, internet gaming, and immigration reform. “We’re hopeful that at some point comprehensive immigration reform can be passed,” said Hickey. 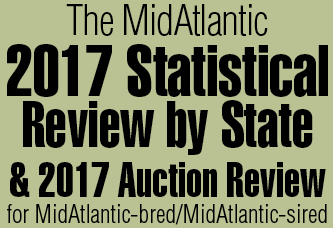 Penn Ridge Farms, a new stallion operation on 120 acres near Harrisburg, Pa., provided a tangible sign that slots revenue brings results. Owned by Mike Jester, the roster consisted of four stallions, all Grade 1 winners, led by classic winner and Breeders’ Cup sire Real Quiet. Herb and Ellen Moelis, creators of what eventually became Thoroughbred Charities of America (TCA), continued to push for Thoroughbred care, establishing the Racehorse Retraining and Retirement Fund within the TCA. Both charities were to benefit from a new checkoff program with The Jockey Club, which would be instituted starting Jan. 1, 2009, enabling owners and breeders to donate to the charities when they registered their foals. Maryland-breds Good Night Shirt and Preemptive Strike battled it out in the final Grade 1 steeplechase stakes of the year, with Good Night Shirt taking the Colonial Cup in Camden, S.C., by a neck. With the win, Good Night Shirt remained undefeated in five starts in 2008, all Grade 1 races, for owners Sonny and Ann Via and trainer Jack Fisher. First-year sire Great Notion got his first stakes winner when the filly Gonna Dash defeated males in the Charles Town Hall of Fame Cup at the West Virginia track. She was one of four 2-year-old winners from eight starters for the son of Elusive Quality, who stood at Northview Stallion Station in Chesapeake City, Md. Northview Stallion Station’s Not For Love made history in 2008. The region’s longtime leading sire hit $6.3 million in progeny earnings, the most ever for any stallion standing outside of Kentucky. He was represented by 30 stakes horses in 2008, 14 of them stakes winners.